iTe Products recently launched a new decorative screeding system called iTeCEMOX. 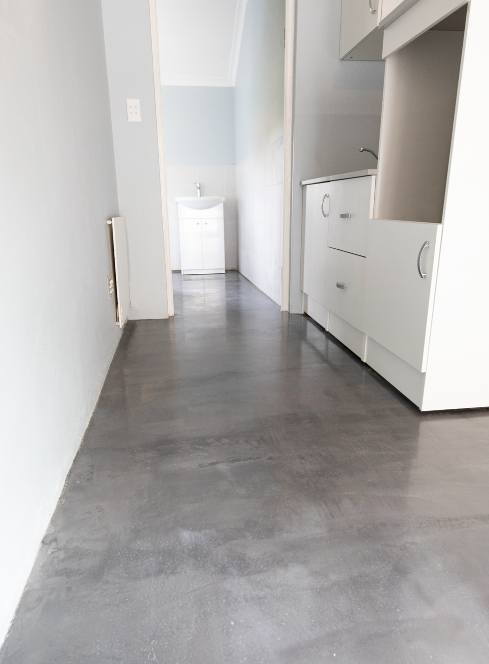 This cementitious system is derived from the traditional Beton Cire effect and is unique in quality, reliability, as well as the look and effects it can add to a floor. The major feature for designers and clients is that they will achieve a creative signature for each installation. The new system is the result of on-going research and development that iTe Products puts into its floor and screeding systems. It is available in a limited range of colours and is made up from cementitious powder that is unique to every customer order, resulting in a zero waste situation. Each order is customised in volume against the specifications of the project. From a moisture barrier to a mandatory underlayment, all the components that are needed for each installation are packed and delivered to clients, ready for installation. To ensure that a perfect installation is achieved every time, the system is hand-applied by individually trained and accredited iTe Products installers. iTe Products understands the effects bad or unprepared surfaces create and has therefore made the use of DecoriTe SLU mandatory in the new screeding system’s application. This unique underlayment and self-levelling screed has been specifically designed for decorative finishes and is the cornerstone on which the new system is delivered. iTeCEMOX offers a super-flat, ultra-smooth and non-slip surface that carries the iTe Guarantee. It incorporates the entire iTe floor system in its application, from the first layer to the final screed finish, thereby ensuring that all installation boxes are ticked. The system’s effect is locked into every floor, never to fade away or change colour, thanks to the latest in technology hybrid sealer that forms the final layer of the flooring installation. This layer is unique in its strength and creative appeal, and it is also non-slip, even when the floor surface is completely wet. This Hybrid sealer has been UV stabilised so that the floor won’t yellow if it is exposed to sunlight. To ensure the unique finish remains untarnished by accidental spills, the final layer is also non-absorbent and stain-resistant. The new screeding system has been carefully developed to make the decision-making process easy. Choose iTeCEMOX for the look, the quality and the guarantee.